Gullyvers returns this Saturday the 26th of September after its Summer Hiatus. 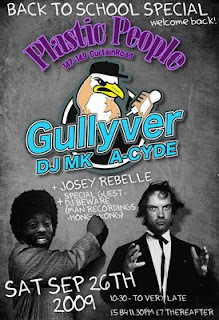 In addition to DJ MK and ACyde special guest DJ Beware joins London's funkiest night. Starts at 10:30pm, get there early.